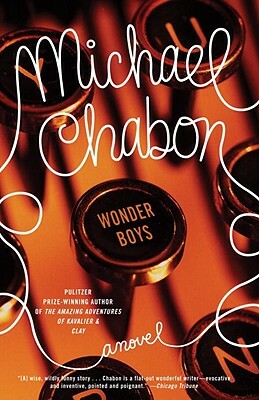 A modern classic, now in a welcome new edition, "Wonder Boys" firmly established Michael Chabon as a force to be reckoned with in American fiction. At once a deft parody of the American fame factory and a piercing portrait of young and old desire, this novel introduces two unforgettable characters: Grady Tripp, a former publishing prodigy now lost in a fog of pot and passion and stalled in the midst of his endless second book, and Grady's student, James Leer, a budding writer obsessed with Hollywood self-destruction and struggling with his own searching heart. All those who love Michael Chabon's "The Yiddish Policemen's Union" and his Pulitzer Prize-winning "The Amazing Adventures of Kavalier and Clay" will find the same elegant imagination, bold humor, and undeniable warmth at work in "Wonder Boys." " A] wise, wildly funny story . . . Chabon is a flat-out wonderful writer- evocative and inventive, pointed and poignant." "Whether making us laugh or making us feel the breathtaking impermanence of things, Michael Chabon keeps us wide awake and reading." "Beguiling and wickedly smart . . . There is first-rate satirical farce in Chabon's novel but essentially it is something rarer: satirical comedy." "-Los Angeles Times Book Review"